In small spaces you see everything up close and personal, making even the smallest details of plant and art and material highly visible. 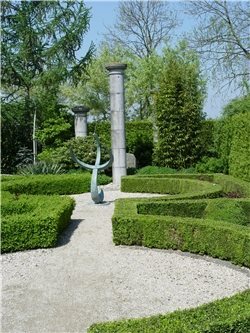 Rigid hedges and outstanding art work require precise layout to fit within this space and after dark the creative lighting make the sculpture and column a dramatic stand out. 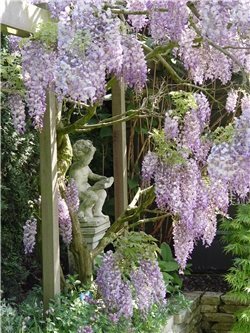 This rare example of a single focal point within a small townhouse garden illustrates how even here the size of the art work is limited to remain in scale with the space. 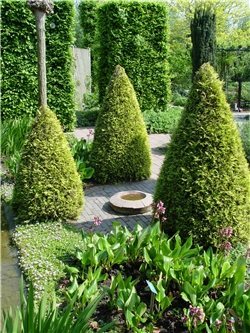 These cone shaped evergreens define the center of this garden which illustrates the degree of precision required to make small spaces fun to look at. 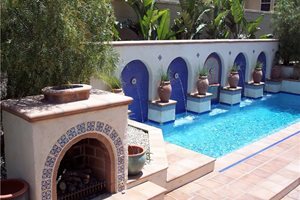 This uniquely designed water feature uses recycled iron tree grates to add surface area to the very tiny condominium courtyard that surrounds it with just a two foot wide walk. 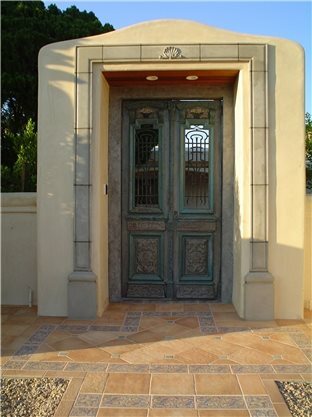 The entry to this small entry courtyard illustrates the importance of fine detailing from the antique gate to recessed lighting and accent masonry. 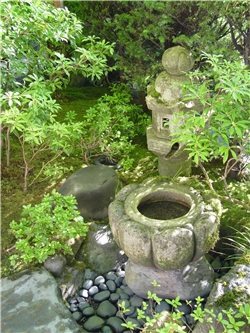 A small nook in this garden is devoted to the quintessential Japanese tea garden elements which are not out in the open but carefully nestled into the azaleas. 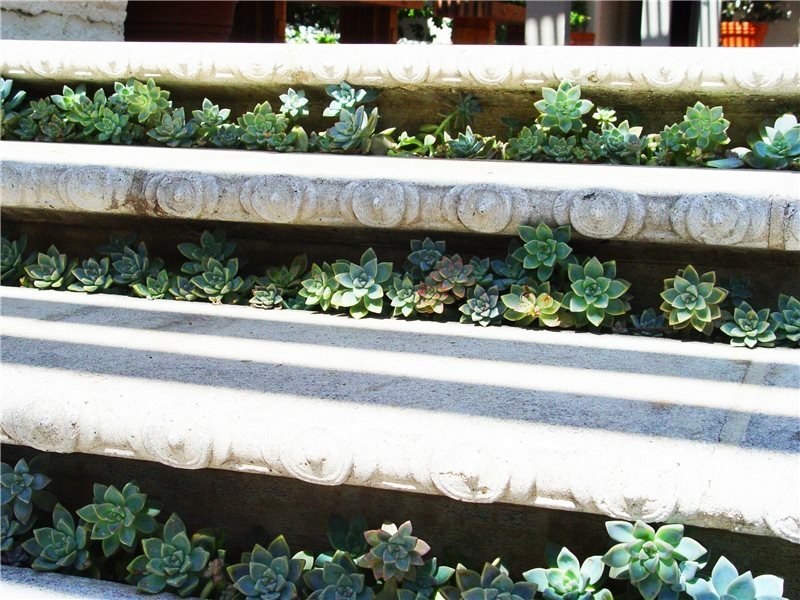 Even the recessed gaps between these steps in a tiny urban garden are planted by a designer who addressed every inch of space. 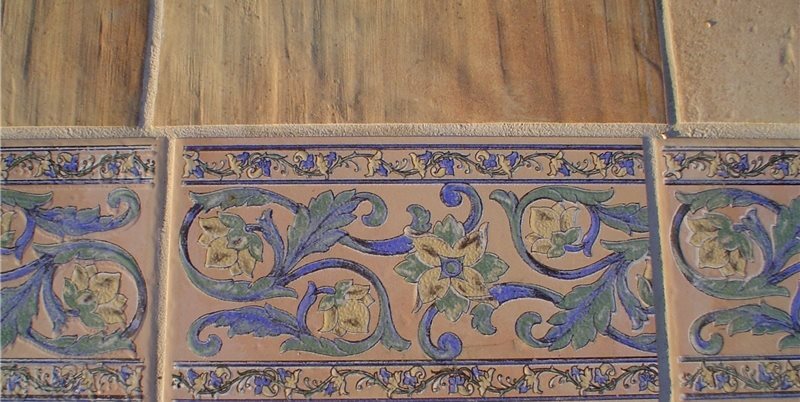 Small spaces make high end materials like this Islamic pattern accent tile affordable, and it offers a visual delight at close range. Five ways to fool the eye into believing a space is larger. 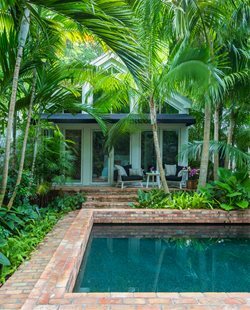 With some creativity you'll be able to enjoy your small yard. 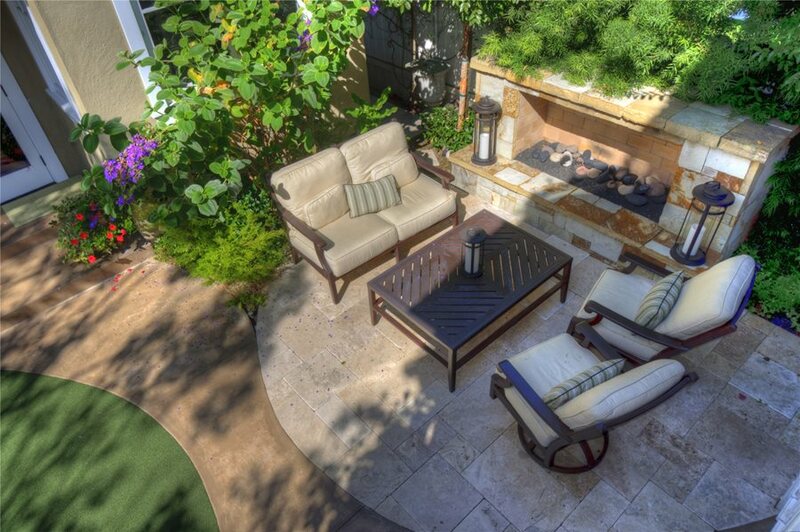 A professional landscaper can also help realize your dreams. 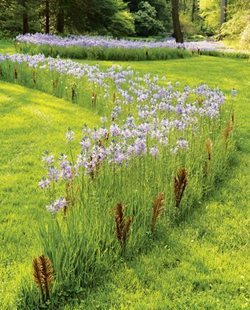 Creating truly outstanding small space landscapes is a specialty of well-known designers and is based on a firm grasp of three valuable techniques. 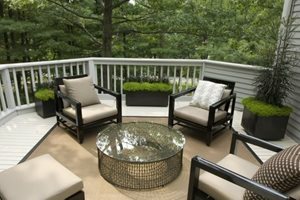 Here are the basics for getting it right when you design outdoor living spaces for a condo, townhouse, or a not-so-large yard. Concept #1: Plan for multiple focal points. The single biggest problem of small space design is that there are no grand views, nor is there enough space to create an outstanding focal point. This results in limited visual appeal. The solution is to create many tiny focal points throughout these spaces that can become surprises when unexpectedly discovered. Gathering them is a great opportunity to shop for delightful objects of art that are weatherproof enough to live outside. Whether they are stone, ceramic, glass or metals, these are for you to choose and your designer to arrange them in the most optimal place. Keep in mind that you need not have all these objects at the start of the project. Opportunities will arise both during and after the design process. Avoid mass-produced items that may be seen elsewhere. 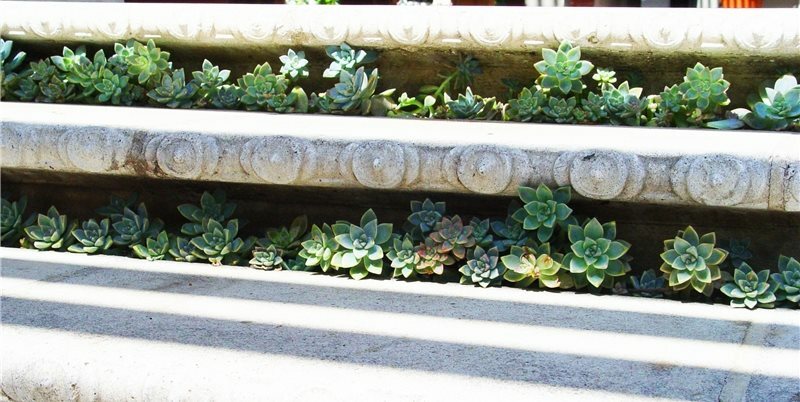 Make your small-space landscape uniquely yours by searching for one-of-a-kind architectural salvage, antiques and original works of garden art. Don't put all these focal points front and center. 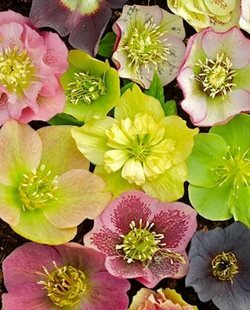 Certainly one or two may be outstanding in the garden as a basis for planting design. The others are best sequestered amidst the plants, looking as though they have always been there. Remember, it's about visual discovery, so when a guest suddenly spots one amidst the blooms, it offers the joy of surprise. Imagine dining in a garden where these carefully composed surprises are positioned for the guest to find throughout an evening compared to a space featuring just a single focal point. Concept #2: Design in inches rather than feet. Within a larger landscape there are always parts overlooked, but this isn't a problem because they are rarely noticed. But in a small space landscape, an ill-conceived detail or omission will be highly visible at close range. Standard design utilizes square feet as its typical unit of measure. 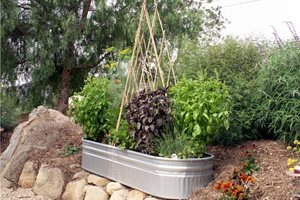 Small space gardens must think in square inches because fitting all the amenities you want in that limited area requires a very precise layout. 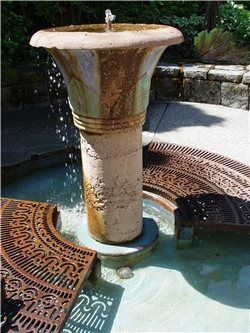 The difference of six inches here or there can determine whether or not you can add a water feature, such as a small pond or fountain, or a fire pit. Two inches may be the deciding factor on whether you can expand your raised planter wall to seat wall width. Failing to work in such detail means you may miss out on valuable opportunities that make the spaces more useful, diverse, or attractive. Pro Tip: Standard landscape plants are usually drawn at 1/8"=1'-0" scale, but to achieve the kind of detail necessary for a small space landscape plan, it must be drawn at 1/4"=1'-0". Concept #3: Indulge in high-quality materials. Today's construction materials are more varied and luscious than ever before. In larger landscapes though, the expansive spaces drive cost of using such unique materials out of most budgets, even high-end ones. The real beauty of small spaces is they allow you to afford the lavish materials you only dreamed of in the past, simply because you need only a small amount of it to get the job done. 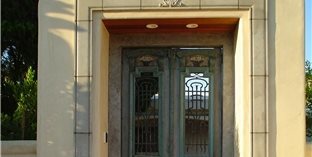 With the door open to such affordability, don't miss out on upgrade opportunities. Pro Tip: In standard landscape, you start with concrete and work your way up to more expensive options. With small spaces, you can start with higher-end choices and work your way down as budget dictates. 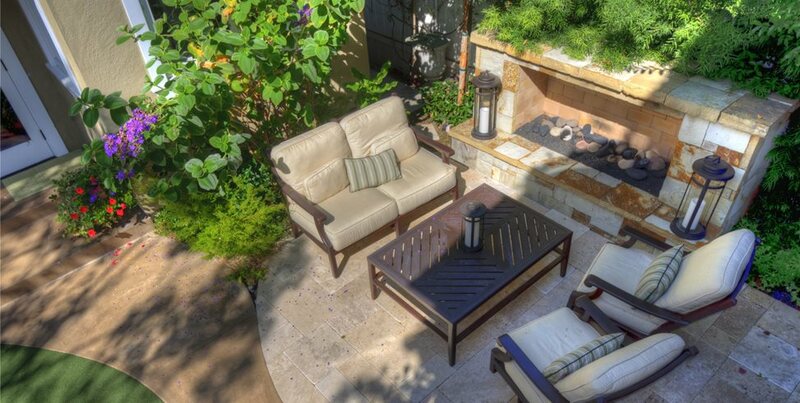 Always consider your paving materials relative to the interior floor materials to match them as cleanly as possible. Another advatage to small spaces, is it allows the use of exciting accent materials, just like accent tiles in kitchen and bath. 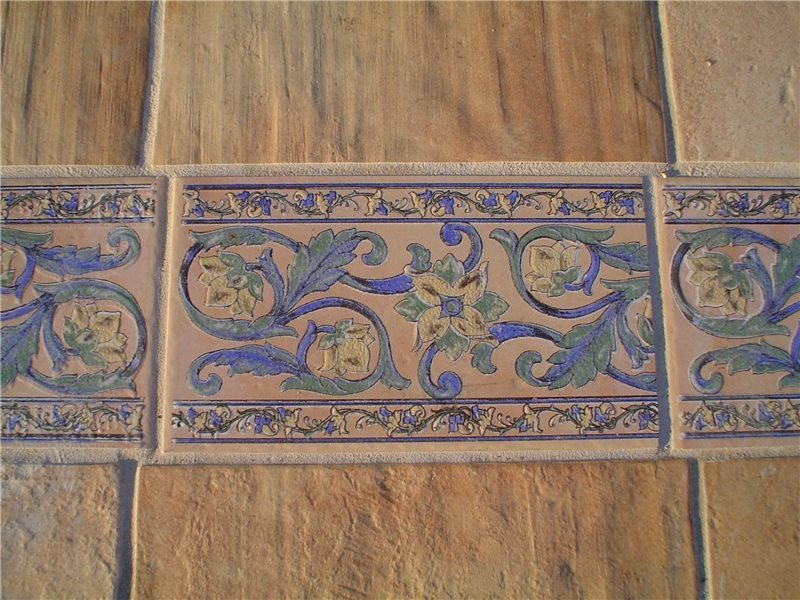 Colored glass tiles, for example, provide many opportunities to integrate them with an outdoor lighting system for creative illumination after dark. When it comes to design of small space, attend to the details, design every inch, integrate surprise, and splurge on materials. Whether you decide to create a powerful and exciting small space design or a modern minimalist one, remember that less is more.